The last time I was in the capital of a Scandinavian country was in Stockholm, and I walked away very impressed by the Swedes. When we were planning our Norway trip, I was excited because I was going to see another Scandivanian capital! In late-summer of 2018, I finally got the chance to spend 3 days in Oslo, and it was interesting to see how similar and different it was from Stockholm. Secondly, despite having a rental car, we took the bus to/fro Bogstad Camping to Oslo City Center because we would've been charged extra for tolls and parking had we driven the car. We purchased a Oslo 1 week City Pass, which allowed us to ride all public transportation with no additional charge. Despite staying only 3 days we purchased the 1 week pass because it was cheaper than three 1-day passes. On the first day as Oslo, our first stop was at Frogner Park which houses over 100+ sculptures created by Norwegian sculptor Vigeland. Entrance to the park is free, and the park itself is neatly designed, reminding me of the gardens of Paris. The most famous sculpture of the park Little Hothead, was of a toddler crying out loud in anger, which is quite unique! I also loved the tall Monolith which is a giant column of many sculptured people wrapped around each other. A sculpture of a baby as how he would be inside the mother's womb was also distinct. I saw a lot of sculptures here showing all kinds of humans, young and old, male and female, showcasing all kinds of relationships, so it felt very inclusive. I'd say this is a great way to start exploring Oslo. The Opera House, located right next to the bay, is designed to look like an iceberg from afar, which explains it's unique architecture. I didn't learn anything new here, but I'd say this one is a must-visit for all the architecture geeks out there. 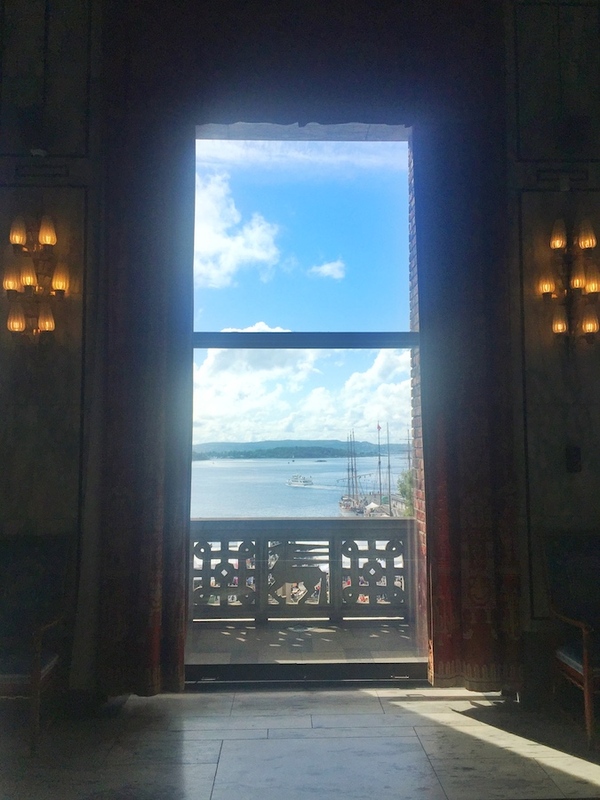 We simply walked all around the Opera House admiring the views of Oslo and the bay from here. We walked around Akershus fortress, which once used be a military base, and saw some equipment from those days like a military tank. Personally though, the views of the bay from the high rise of the fortress were much better. We went around sunset-time, and caught some beautiful dusk views. We stumbled into what looked like an Open Market next to the Opera House the next day. A lot of local Norwegian vendors were providing samples of their products for free, or for a minor charge, so customers could try and then decide to buy or not. We tasted a lot of items from brown cheese to fish cakes to chocolate to smoked salmon. The most unique things we tried were whale meat and reindeer meat. We would've never tasted these things if it weren't for the Open Market, and we also got the opportunity to talk to a lot of locals, which was great. We also saw a giant tuna that was just caught being cut open outside the restaurant which was selling it, so if fresh fish is what you want - you'll get it aplenty here. I think we got lucky with the City Hall as well. Since we went on a Saturday morning between 9-12 am, we actually got to see a Norwegian wedding happening at City Hall on that day. It was nice to see the locals dress up, and have an intimate wedding with friends and family. Other than that, City Hall looked and felt very official-esque, and if you are interested in Norwegian politics or history -- you'll have a good time. This was one of my most unique experiences of Norway. The moment I stepped out of the subway and entered into a Grunerlokka street, I was surprised, and I had to confirm that I was in the right place. Grunerlokka is the first place in Norway where I saw a ton of people of color - Africans, Indians, Asians amongst others and a lot of diverse restaurants, clothing stores and grocery stores catering to these communities. 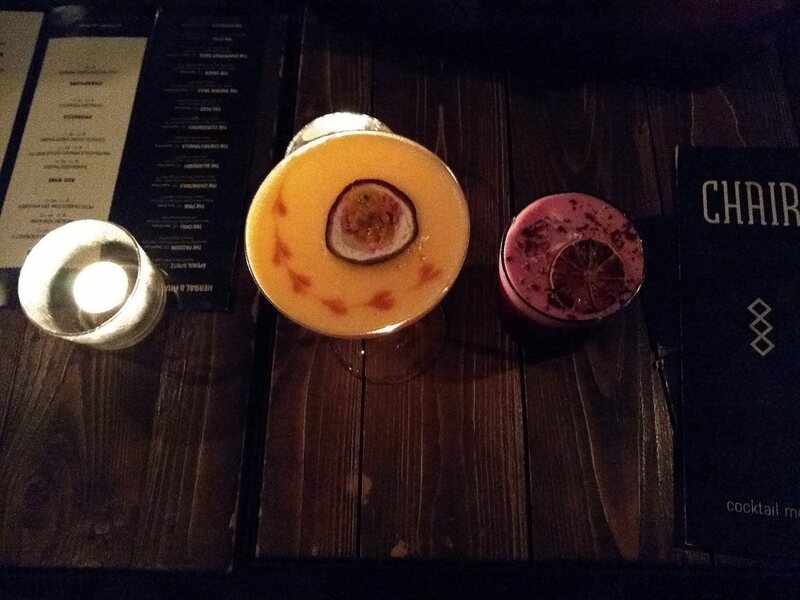 We also went for drinks to a place called Chair, which was really trendy and served great cocktails. The prices were as or more expensive than a similar cocktail bar in San Francisco, so be warned. On our last day in Oslo, we went to the Royal Palace and saw a change-over of guards. I do not share an appreciation of Royal Customs, so this felt pretty boring to me. How the guards manage keep their face straight all the time surprises me! The palace itself looked huge and picture-worthy, and I'm sure they have palace tours as well which we skipped because of our lack of interest. Our one week city pass came with a free ferry ride to the islands located in the bay, so that was our next stop of the day. The ferry ride was good, but it would've been better had we gotten off on one of the islands and picked up a later ferry to come back, which we sadly didn't. Maybe next time! We went back to Grunerlokka for the second day for some food and shopping. There are multiple Scandinavian clothing stores in this area, and you can spend some time admiring the clean cut designs and minimalist patterns. We also went to Grunerlokka Brygghus for some beer and bar food, both of which were nice. I'd like to call our some other places which we wandered into, but didn't get to explore enough - Nobel Peace Center, Aker Brygge and the Astrup Fearnley Museum of Modern Art. That was our time at Oslo. What did you see when you went to a Scandinavian Capital? Did we miss anything in Oslo? Let me know in the comments below.